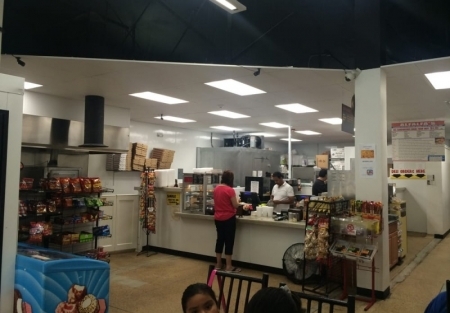 * This is an established pizza restaurant with deli for sale located in Stockton CA - San Joaquin County. * The restaurant for sale is located on street with good parking area and good access from the busy road. * The restaurant has gross annual sales $40,000 per month average, as per owner. * The owner has this pizza restaurant since 2011 but originally establish in 1995 with loyal customers. * The restaurant also has deli portion and convenience store portion where customer who came for pizza can also buy other food items. * This pizza restaurant has accounts of some local major non-profits and schools. * The restaurant makes up to $7,000 monthly sales from delivery only. * Type 41 on sale beer and wine eating place license is included in sale price. * The business sale include furniture, fixtures, and equipment owned and leased by owner. The owner shall transfer any rented items to the buyer at closing. * Low price opportunity for a buyer to operate their pizza restaurant business. Buyer may think to run it as franchise pizza with the approval of a franchisor. * This restaurant provides the variety of pizza, sandwiches, salads with customer made options. * Rent is about $1,300 approx. with garbage and water bill paid by landlord. * Buyer may get a long lease with the approval of the landlord. * Buyer need to arrange their owner financing with their lender. Established restaurant with loyal customers. Accounts of local non-profits and school. Vareity of pizzas, sandwiches, salads prepared. Low rent with long lease.